We supply 13 Inch Glass Charger Plates, which are reckoned for their strong built. Strict payment procedures are followed by us keeping in mind that no third party is involved in this; rely on us and we will offer you to make payments online or offline keeping all your details safe and secured. Our assurance towards providing damage-free products to the clients is achieved through our use of quality packing material. In addition, we maintain streamlined packaging system supervised by experts. 13 inches glass material For wedding decoration Package: 4pcs covered with styrofoam, then into one inner box; 8pcs(2 inner boxes) per carton. 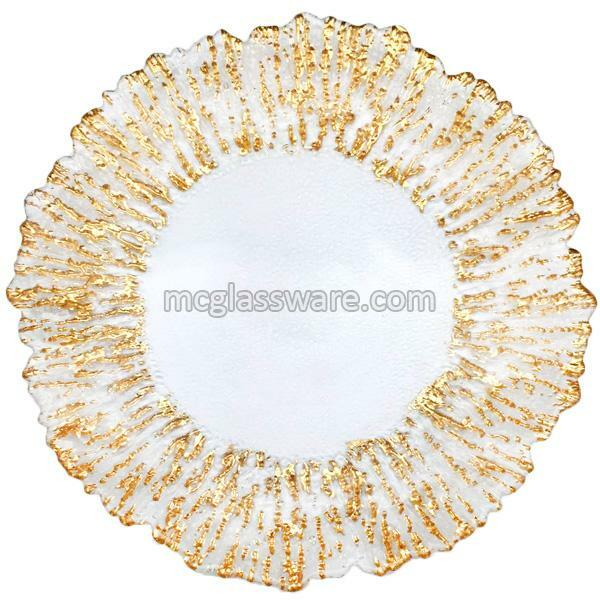 Looking for 13 Inch Glass Charger Plates?